On Wednesday New Vision Radio, based in Lyndhurst, Johannesburg launched a new live stream link [here]. NVR, which is hardly three months old has taken the decision to introduce a new stream link in order to protect its needs and independence. "Online radio is growing rapidly and being independent, unique and marvelous in what you provide the data-listener is something that one should master. Remember online radio can be a luxury to some of us due to data costs and other related issues like owning a smartphone," said Station Manager, Buchule Raba. Raba said that iOS (Apple Store) and Android (Google Play) Apps are already submitted to make sure the station is easily accessible with less data charges compared to streaming links that take time to upload. "When we talk links to click on people get weary of their data-spending but these also depends on the loading of each stream link. For example, ours was fast in loading and it didn't have too much branding to load which means it was less on data. "We have also created a QR Code that people will scan to listen to us and this is to make sure that we are accessible everywhere online," said Raba. Raba said that it took them three (3) days to get at least 1000 listeners to enjoy the new stream. "On our old stream we had more than 20 000 listeners and some of them will come back as we are busy developing a strong online marketing campaign that will boost our numbers," said Raba. Raba said that the station will soon announce the availability of its Apps on Google Play and Apple Store. "We have submitted the Apps for review and as soon as that process is complete we will get feedback from the relevant parties," he concluded. 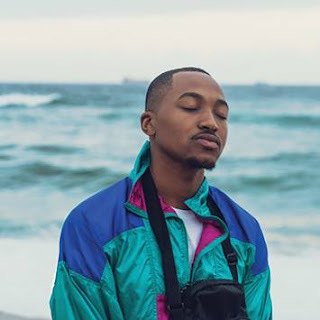 Raba told GoXtra News that they are still a new online radio that aims to compete with big players such as CliffCentral, TouchHD and Massiv Metro. "When it comes to digital radio the world is an oyster - everything is up to how you brand yourself out there and the strategy to take that forward. Recently we had a partnership with the Moshito Music Conference and Exhibition which gave us a chance to fully brand at their event. For us it was a big deal because we saw none of our competitors above broadcasting at the event. "We got a chance to meet artists and music executives from all over the globe. All thanks to the Moshito management for making this wonderful partnership a possibility," said Raba. 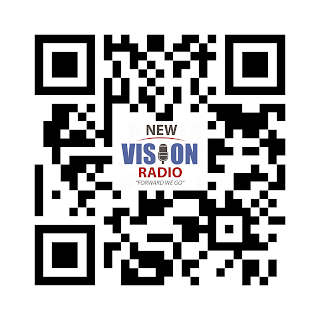 New Vision Radio is an online radio station broadcasting from Lyndhurst Johannesburg, South Africa. The station's target age is from 18-49 years old. It broadcasts 100% in English.